How to fix WDF_VIOLATION BSOD on Windows? Home »	Fix » How to fix WDF_VIOLATION BSOD on Windows? Issue: How to fix WDF_VIOLATION BSOD on Windows? Could you please tell me what should I do to fix WDF_VIOLATION BSOD on Windows 10? The WDF_VIOLATION is a Windows Blue Screen of Death error, which is marked with a hexadecimal code 0x0000010D. Usually, it shows up on Windows 8 and 10 when trying to play with an Xbox 360 controller or use an external Hard Drive. 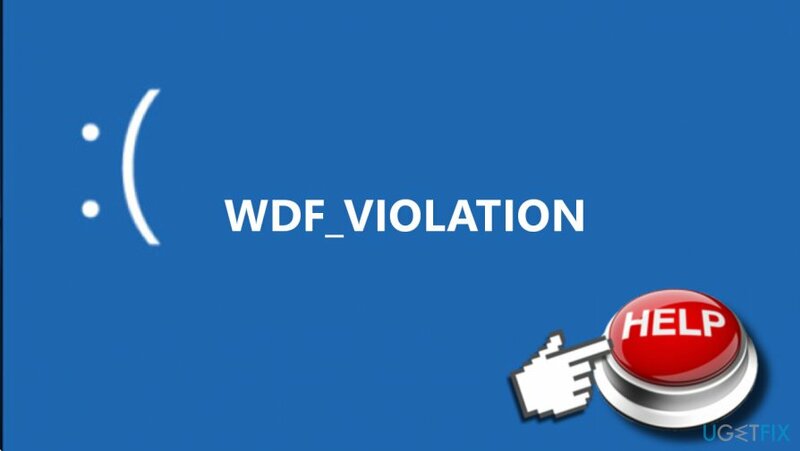 The WDF_VIOLATION BSOD means that Windows Kernel-Mode Driver Framework (KMDF) found an error in a framework-based driver. To resolve the problem, experts recommend using driver verifier and updating corresponding device drivers. 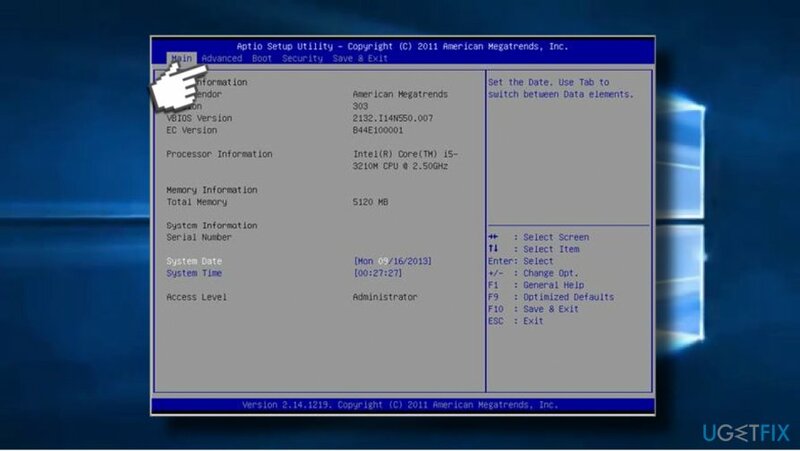 Nevertheless, error code 0x0000010D with a WDF_VIOLATION BSOD may show up due to the USB or hard drive connected to your PC. According to people’s reports, the culprit of the error was the USB Camera, so you should disconnect all USB peripherals, including mouse, camera, microphone, and similar. 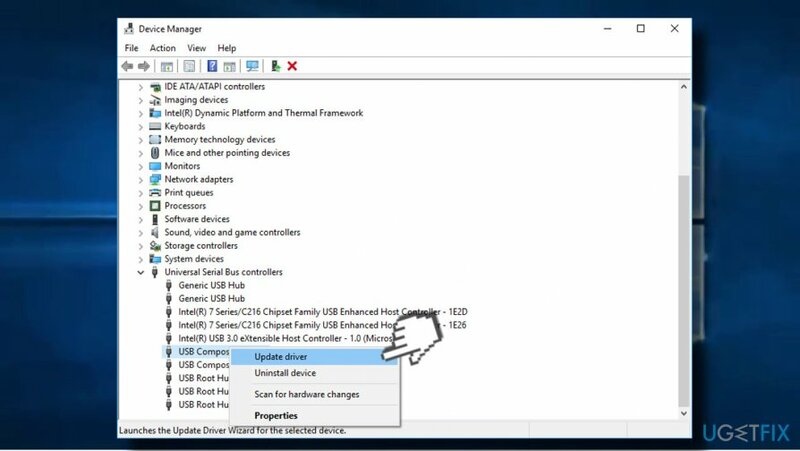 Additionally, we’ll explain how to disable USB ports in BIOS in case other methods don’t work. IMPORTANT: BSOD errors like WDF_VIOLATION are frequently triggered by virus infections. Therefore, make sure to scan your PC with a powerful anti-malware tool before performing the methods provided below. We would recommend using Reimage. 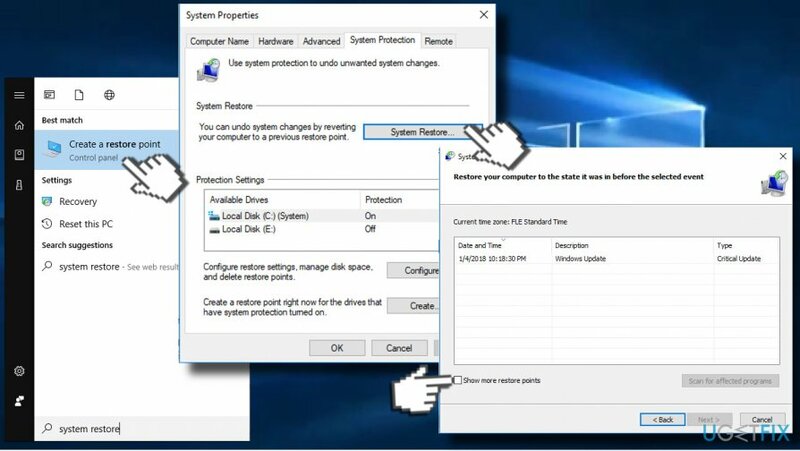 This program will scan the system for corrupted, missing or damaged Windows files and eliminate malware at the same time. Thus, it may fix WDF_VIOLATION error caused by malware and other system errors. Restart your PC and press F2 to enter BIOS. When BIOS window opens, navigate to Advanced Tab > Miscellaneous Devices > External USB Ports. Disable the External USB ports. Save the changes and reboot your PC. Now a Repair screen should open. Select System Restore option. Use this option to restore Windows to the previous state. When the system is restored, open BIOS as explained above and enable the External USB ports. Type verifier and press Enter to execute the command. On the new window, select Create standard settings and then click Next. 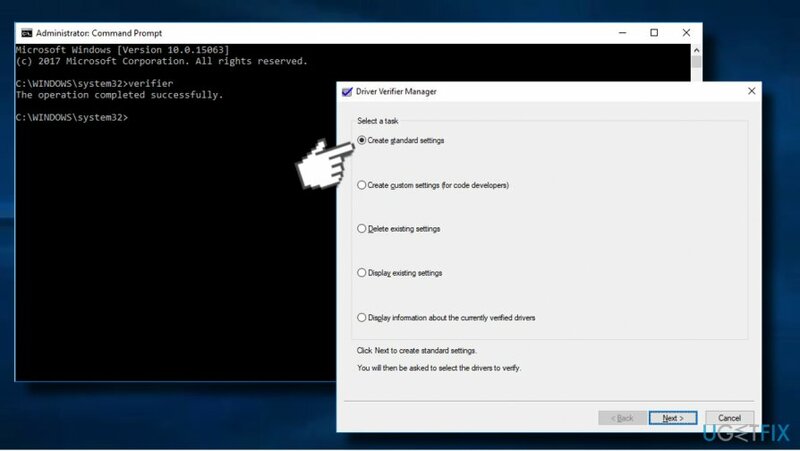 Click Automatically select all drivers installed on this computer. Finally, click Finish button to start the verification process. You should get a report about the status of the drivers, so follow the instructions to fix all problems. We would recommend expanding each section of drivers and checking if any of them bears a yellow exclamation mark. It means that the driver is either corrupted or outdated. In this case, right-click on the driver and select Update driver. If none of them is marked, we would recommend updating Graphics driver, Universal Serial Bus controllers, and Sound, video, and game controllers. Select the system restore point that was created before WDF_VIOLATION BSOD started interrupting you and select Next. ^ Tim Fisher. List of Blue Screen Error Codes. Lifewire. Practical advice to help you live better with technology. ^ Kernel-Mode Driver Framework. Wikipedia. The free encyclopedia. ^ Simon Batt. Check for Bad Drivers in Windows with Driver Verifier. Make Tech Easier. Tech site with strong focus on computer tutorials, how-to, hacks and fixes.